In today's show the third and last part on the releases of Aladdin in their 100 series that numbered up to 212. From 1948 they started their numbering with 3000 - a sequence they would keep until the end of their existence. 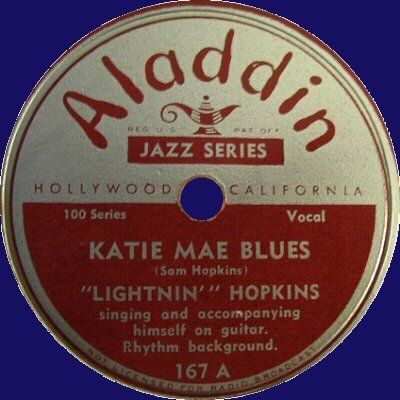 Aladdin had managed to become one of the major, and most succesful labels for Rhythm & Blues. There were more labels that were born out of a record store, but none of the others ever achieved this success. It's a remarkable achievement that, for an odd exception, all artists on Aladdin belong to the great names of Rhythm & Blues and jazz - wether their fame started on the label or Aladdin picked then up later when they'd established their name elsewhere.